I totally knew this was going to happen from the moment the character was introduced in the book. The similarities between Setrakian in The Strain andTrevor Bruttenholm (John Hurts Character in Hellboy) are so numerous it just had to happen. 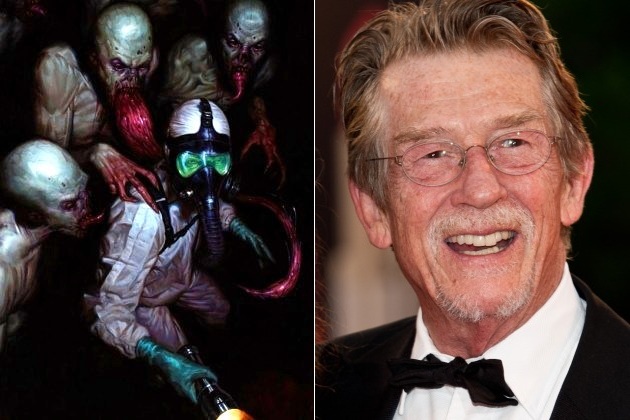 I just wonder if they will bring back Kevin Trainor, who played the younger version of John Hurt in Hellboy for the flashback sequences in The Strain? Kinda disappointed that Perlman won’t be involved but I guess he’s got a busy schedule.